It was always on the list to re-do, but of course it took me a year and a half to actually get to it. Story of my life ("I'll take her home; I'll spend all night to keep her warm..."). So last week I gave it a scrub down (it was so dirty!) and a coat of spray paint. It was a free update since I had all the paint on hand. Doesn't get much better, people. Has anyone else ever painted a mailbox? Or recently completed a project you've had on your to-do list forever? It looks so cute!! The yellow was such a great color choice! Our mailbox is in with all the others since we live in a townhome, not much I can do about that haha! So stinkin' cute! Love the bright, cheery color. oh my - too cute! love the yellow. So cute! That yellow is the perfect color! My husband and I (mostly him) just finished turning a small computer desk into a mobile drink cabinet, something we've been meaning to do FOREVER! We literally just finished putting the last screw in at 10:00 last night. I love taking old things and turning them into something new! Ours is just a boring one next to the road. Love the bright yellow! 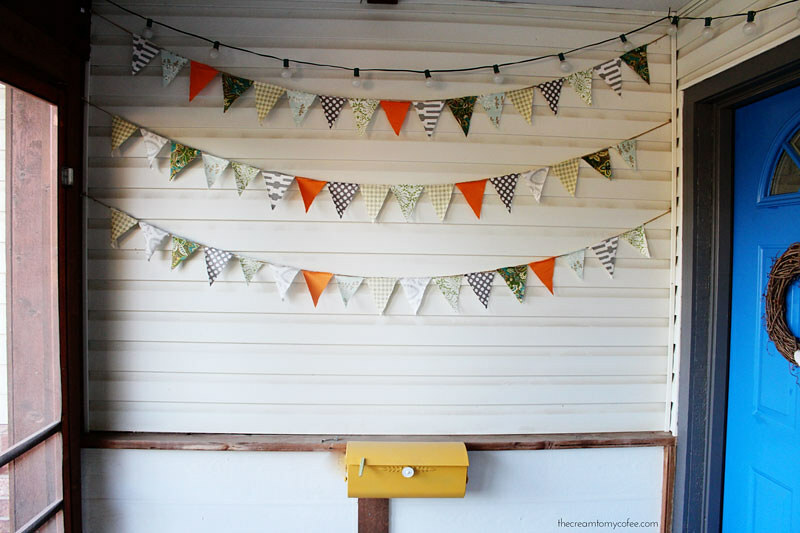 It's so cute with your bunting! Ooo I love the yellow! Our mailbox is so bad- I'm pretty sure someone just spray painted the entire box/stand black at one point. Ick. A new box is on our to-do list, hopefully this summer! 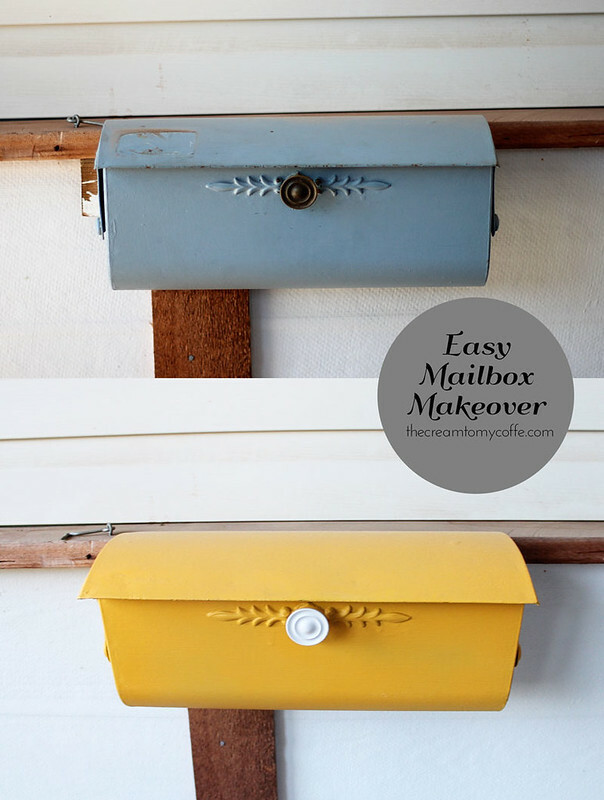 I never even thought of painting our mailbox, but I'm adding that to my list for my next free weekend!! So cute! I have missed DIY posts from you. The mustard looks so much better and I love the triangle strands of decoration, too. I love this! This color yellow is perfect too. It looks wonderful! It's so bright and cheery and works perfectly with those adorable buntings. I love them! 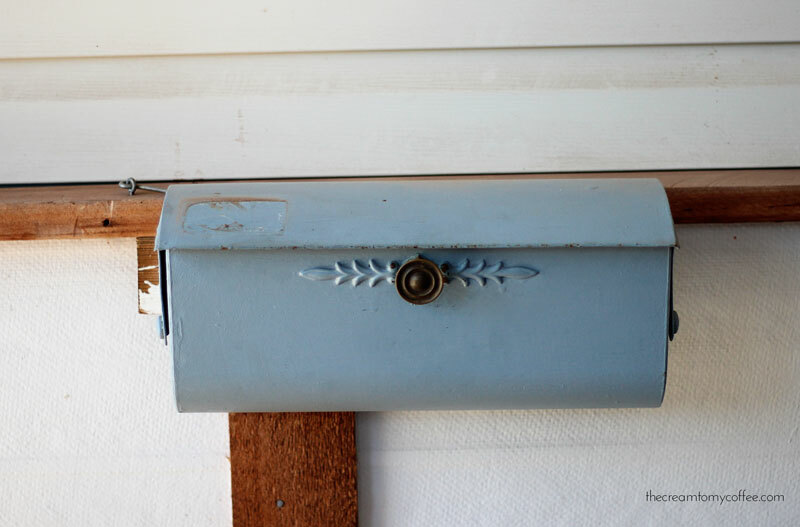 Your mailbox looks great! 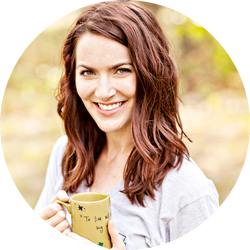 I love the name of your blog btw - so cute! cute! never thought about sprucing up our mailbox, but we totally could! This is SO CUTE! I love that color yellow - its perfect and refreshing! Super cute! Love the bright yellow! it looks so good! And no, I haven't accomplished anything lately. My list keeps growing, so I should really get on that! awww this is so lovely! oh my god - i love it !! I LOVE THAT MAILBOX! A little spray paint was perfect!